Show your Team Edward love when you wear the cool necklaces in this Twilight Breaking Dawn Part 2 Cullen Crest Necklace Set! 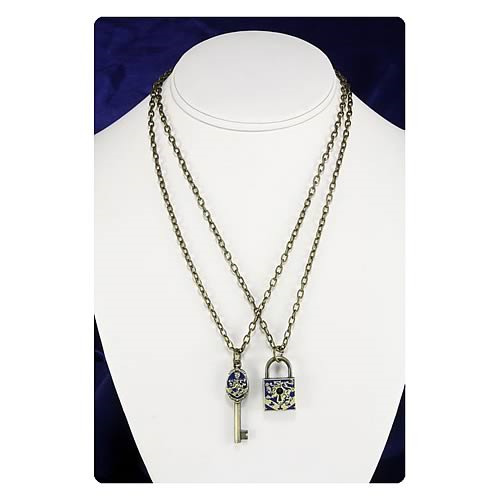 The 2 necklaces in the set feature key and lock pendants. The Cullen Crest bangles necklace set is a must-have for fans of The Twilight Saga! Ages 14 and up.